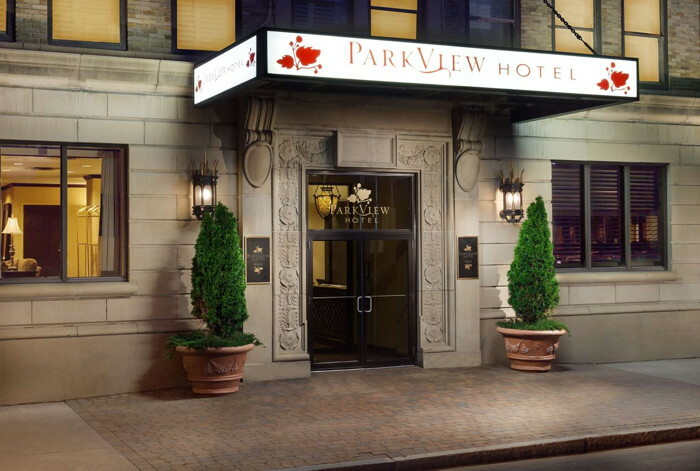 Best Western Hotels & Resorts announced the arrival of its upscale soft brand to Upstate New York with the opening of The Parkview Hotel, BW Premier Collection by Best Western in Syracuse. "The Parkview Hotel is an extraordinary addition to our carefully curated portfolio of hotels that make up the BW Premier Collection by Best Western brand," said Ron Pohl, senior vice president and chief operations officer for Best Western Hotels & Resorts. "This boutique hotel, located in Syracuse's historic downtown, is newly renovated and offers the sophisticated style, local flare and upscale experience that the BW Premier Collection by Best Western is known for. We look forward to this hotel becoming a favorite destination among travelers visiting the beautiful city of Syracuse." Visitors to The Parkview Hotel, BW Premier Collection by Best Western, will appreciate the hotel's prime location in historic Downtown Syracuse. Just a short walk away is the Erie Canal Museum, Everson Museum of Art, OnCenter Complex and Museum of Science and Technology. Located within a short distance from the Syracuse Hancock International Airport, the hotel offers guests a shuttle to the airport for ultimate convenience. "We are excited for guests to see the impressive renovations we have made and to experience the local flavor and outstanding experience we take pride in offering," said Thomas Fernandez, chief operating officer of The Parkview Hotel BW Premier Collection. "Our upscale boutique hotel in the heart of Syracuse delivers the high-level product and service that guests expect at a BW Premier Collection by Best Western hotel."